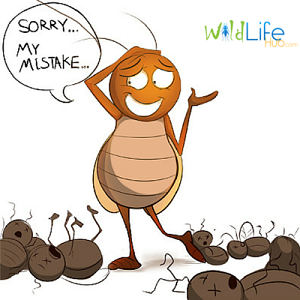 Are you Making the Common Mistakes that Feeder Insect Breeders Make, that Decrease Efficiency and Reduce your Profit? If you want to produce feeder insects for profit, the reality is that your clients will expect healthy insects that are produced consistently and at a low price. To compete with other feeder insect breeders, you need to know how to breed insects efficiently. 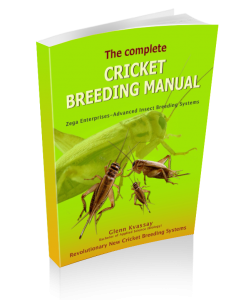 In addition to this, breeding crickets and other feeder insects has a steep learning curve which can end in disaster if you don’t have the right information. Each operation will have a unique set up, climate, operator skill level and running costs. We recommend that you first determine your market, income and expenses on a small scale first; then expand after you have the experience behind you. If you are an existing commercial breeder, trial new techniques before applying them to your whole operation. One of hardest mistakes we learnt was that pests can become a much bigger problem as you increase the scale of your operations. For instance, we had a major pest infestation which seemed impossible to manage and nearly ended our operations. After a long period of trial and error, we learnt how to detect their presence; prevent their entry, and how to manage them before they become established. There are a number of pest you need to manage, so having the right information is essential. Before starting or expanding your operations, you need to know what markets are available to you and what competition you have. After all there is no point starting a small commercial facility when a much larger facility that produces a cheaper product is just around the corner. On the other hand, there are a lot of potential markets available to you which may not be obvious. For instance, did you know that breeding crickets for human consumption not only gives you a new market but could be potentially 4 times more profitable. Read this article to find potential Markets to Breed Insects. Many people don’t invest in getting the right information and will spend years with unnecessary trial and experimentation. At Wildlife Hub we have spent over 13 years streamlining the process with automated food and water dispensers, efficient and low maintenance systems. We have also learned ways to greatly reduce or remove some of your major expenses. For instance; did you know there is new solar technology that can heat a facility both day and night and in cool climates virtually free from the sun. After doing the hard yards, we thought it was important to document our methods so others did not have to spend years in wasteful experimentation. That is how our feeder insect book and video series was born. After you gain your own experience you will invariably change and adapt things, however having a tried and tested method to start with will save you a lot of heartache. 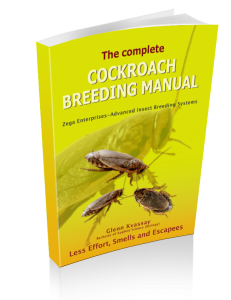 It can take many years to learn how to breed insects efficiently, learn how to avoid the pitfalls and increase your profit. Fortunately, at Wildlife Hub we have already done this for you so that you don’t have to learn from the “school of hard knocks”. Our information will provide you with a tried and proven method to build your business. For more details on our feeder insect breeding books and video series Click here.